The tool every gardener needs in their shed. Classic wooden handle garden shear. Designed for regular hedge trimming and light pruning work. Effective on trees and shrubs up to 15mm thick. 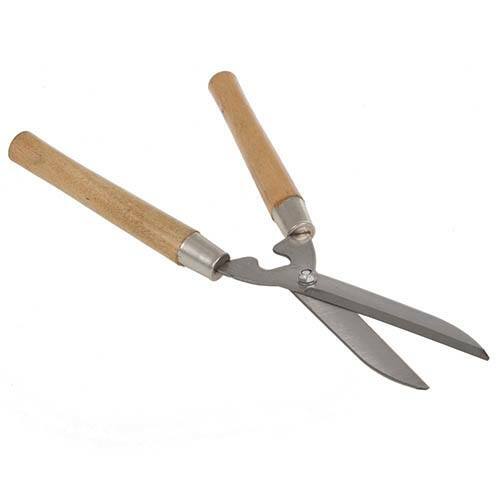 A garden work horse, this classic wooden handle garden shear is designed for regular hedge trimming and light pruning work on trees and shrubs up to 15mm thick. Supplied as one pair of wooden handled shears.